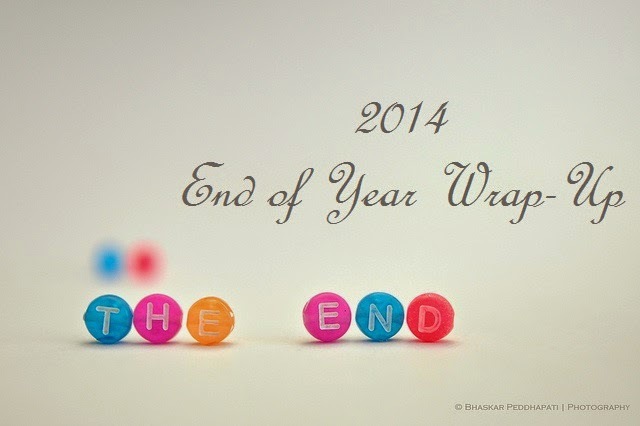 2014 is over! And I've read a lot of books this year. In fact, I've read 105 novels so there are a lot of books to choose from for my top ten favourites of the year. I've been quite selective with tagging books as "2014 favourites" yet despite that, I have 24 books on that shelf (click here to see all the books that made that short-list). So without further ado, here are my top ten picks for 2014!!! Even though this is a middle-school series, I enjoyed it immensely and thought it was action-packed, humourous but at the same time, it contained a lot of heart. For those who are turned off the series but the films, trust me, the novels are nothing like the movies! Also, I really need to finish The Heroes of Olympus series as well! If clouds are blocking the sun, there will always be a silver lining that reminds me to keep on trying. Fun, quirky and quick-paced! I really enjoyed it. Enough said. This book reduced me almost to tears. My copy of this book is dotted with little flags of my favourite passages. I really love The Lunar Chronicles. And I can't wait for the epic conclusion Winter due to come out at the end of 2015. But ever since Scarlet (book #2), I've been dying to read Cress. The relationship between the two protagonists had me fangirling from beginning to end. After reading Fangirl and loving it, I also picked up Eleanor & Park and Attachments. Attachments has got to be my favourite of Rainbow Rowell's works. But then again, I love everything she writes. They are adorable and heartfelt. The language is so beautiful. A must read if you haven't already!!! There have been so many dystopian series out lately and while the build-up is excellent, I can't help but feel the endings are somewhat of a let down. The Legend trilogy by Marie Lu is the first one where I have loved from beginning to end and every book just builds on top of the next one. And Champion - best ending ever! I think this is the book in 2014 that made me think the most. Thoroughly enjoyed this one. What can I say that I haven't already said in my review? My favourite book of the year and it's earned a spot on my all-time-favourites shelf. CRESS!!! I LOVED that book :-) The Book Thief is another one of my favorites! Will have to check out some of the other books on your list....Happy New Year!